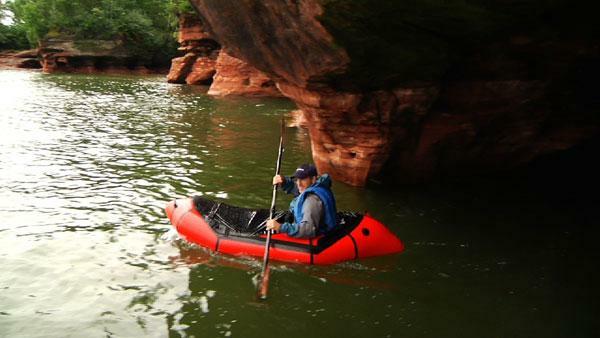 After exploring the Apostle Islands on foot, Greg breaks out the pack-raft to paddle into some of the most spectacular sea caves we've ever seen. Shipping has long been an important part of Lake Superior's rich history. Greg discovers the underwater wreckage of a time long forgotten. If you're planning a trip to the Apostle Islands in Wisconsin, the Bayfield Inn offers a totally unique place to stay.